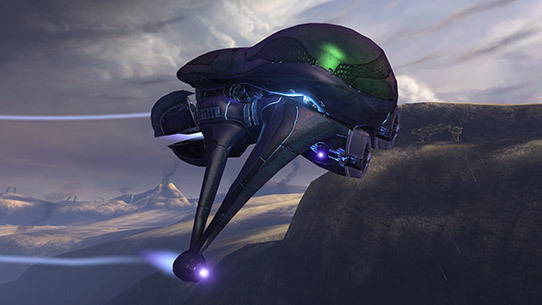 The Banshee is easily the most common support aircraft employed by the Covenant and were deployed in the hundreds of thousands during the course of the Human-Covenant War. 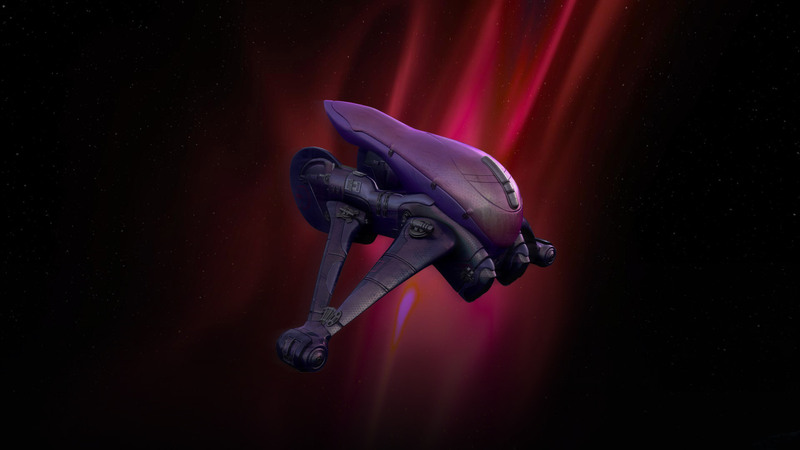 The Banshee’s ease of operation, reliability, maneuverability, and impressive armament makes it even more valuable to the various warlords who vie for power in the ruins of the once-mighty Covenant empire. 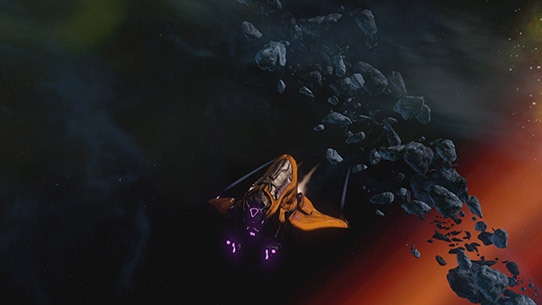 The Banshee has had a long history of usage not just within the Covenant, but also by the ancient Sangheili fleets who explored the stars decades before the arrival of the San’Shyuum. 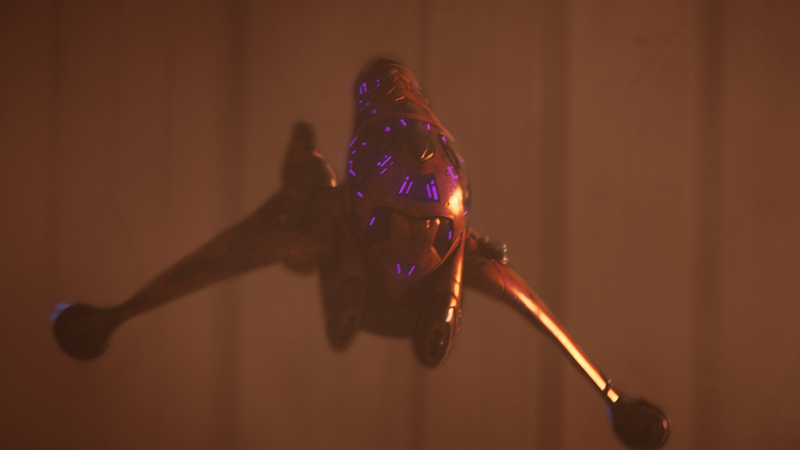 Though refined over the ages, these early Banshees would still be recognizable into the modern day, as they are all patterned on the ‘sKelln, a voracious and cunning aerial predator that stalks the skies on Sanghelios. The Banshee family contains a host of variants, several of which have been captured and investigated at length by ONI and the UNSC in hopes to learn more about Covenant technology. Design variation can in some cases be attributed to specialized functionality while others represent the sheer aesthetic choice of whoever was commissioning the craft. 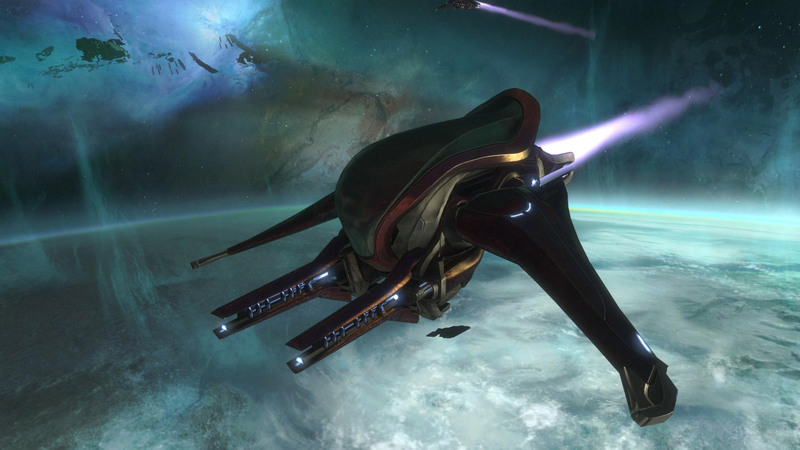 While a handful of visually-distinct models have been encountered in the field, analysis of Covenant records procured post-war have referenced dozens of different Banshee variants that have seen implementation in some fashion. Several variants have no currently documented encounters with the UNSC but are described in Covenant and Sangheili manifests. The earliest Sangheili Banshees were called Uztet’sKelln, in honor of the ‘sKelln. 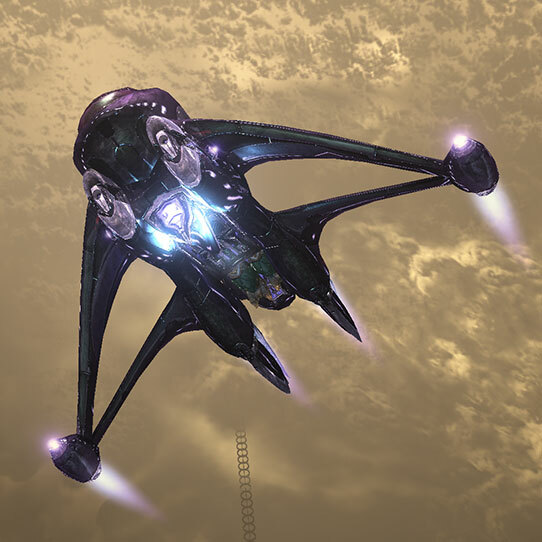 Though unreliable and slow compared to its more modern descendants, the Uztet’sKelln’s smooth, elegantly contoured canopy and twin impulse-drive design informed the shape of all Banshees that followed. Particularly ancient Banshees are often tasked with ceremonial roles and given elaborate ornamentation, such as the Banshees dedicated to the Sangheili Honor Guard, or those commissioned directly by various Kaidons as personal transports. Known to ONI only from analysis of Covenant operational records, the enigmatic QezoY’asabu (”Obsidian Wing”) appears to be an ancient Banshee built primarily for stealth operations, with integral active camouflage systems and sensor bafflers of extraordinary refinement. What little evidence exists indicates it was employed by Covenant special forces for delicate inquisitorial operations. Though rarely encountered by UNSC forces, amphibious Banshee variants have also been commissioned throughout the Covenant’s history to provide multi-environment security for oceanic Covenant installations and deep-sea artifact retrieval missions. T-26A: The T-26A was encountered by UNSC on many occasions, and was the first Banshee to be type-classified by ONI analysts following the attack on Harvest. T-26B: A more advanced pattern of Banshee that languished in Covenant peacetime service until the war against humanity began to strain older stocks of Banshees, the T-26B began to see widespread use from 2550 on. Manufactured throughout the Covenant, large numbers of new T-26B’s were commissioned by Jul ‘Mdama while he built up his forces at Requiem. T-26AZ: Though the significance of its design is opaque to human analysts, it is known that the T-26AZ was only found in use by select artifact-hunting fleets associated with the Covenant ecclesiarchy, including Sesa ‘Refumee’s contingent deployed to the Forerunner gas mine at Threshold. 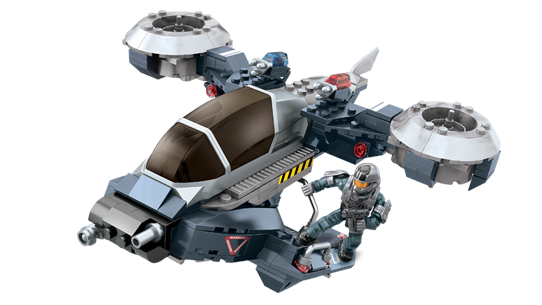 T-26BZ: The ordained variation of the T-26B is thought to have been the chosen model of Loka ‘Bandolee, whose soldiers were initially deployed alongside those of Sesa ‘Refumee to the Threshold gas mines. T-26C: The T-26C was encountered during humanity’s last stand on Earth and among Truth’s forces on Installation 00. T-27 Exoatmospheric Multirole Fighter: T-27 Banshee Fighters, sometimes referred to as “Space Banshees,” are exoatmospheric craft utilized to screen larger fighters and bombers in fleet engagements. 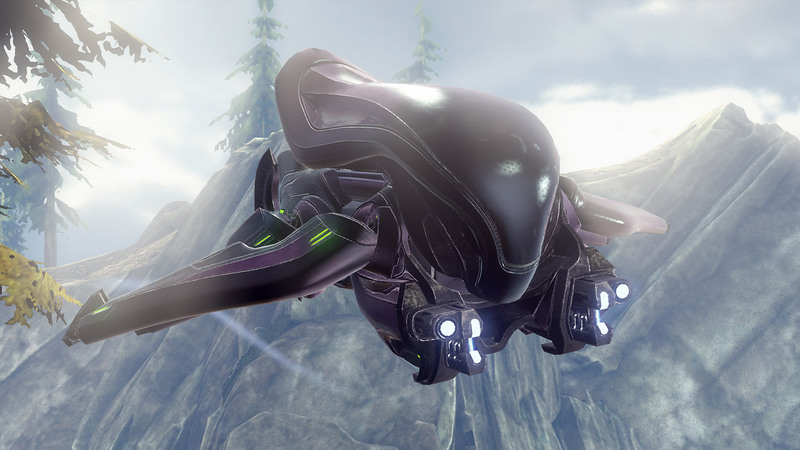 Considered expendable, the Covenant utilized these fighters to overwhelm enemies by sheer numbers. T-54: Combat flyers have been a staple in the Elite warfare for millennia, and the Hesduros-pattern T-54 Banshee harkens back to earlier designs that once dominated the Sanghelios skies. Freed from the design shackles of conservative San’Shyuum bureaucrats, the Banshee has been updated with numerous improvements, including an integral energy shield. 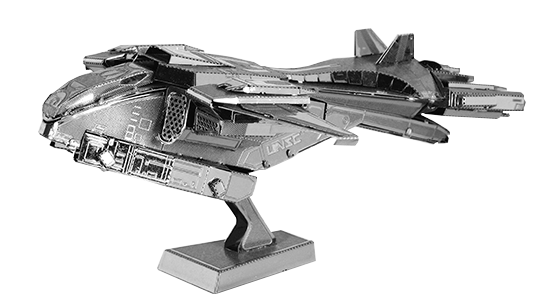 Build your own UNSC Pelican with this 3D metal model kit brought to you by Metal Earth.